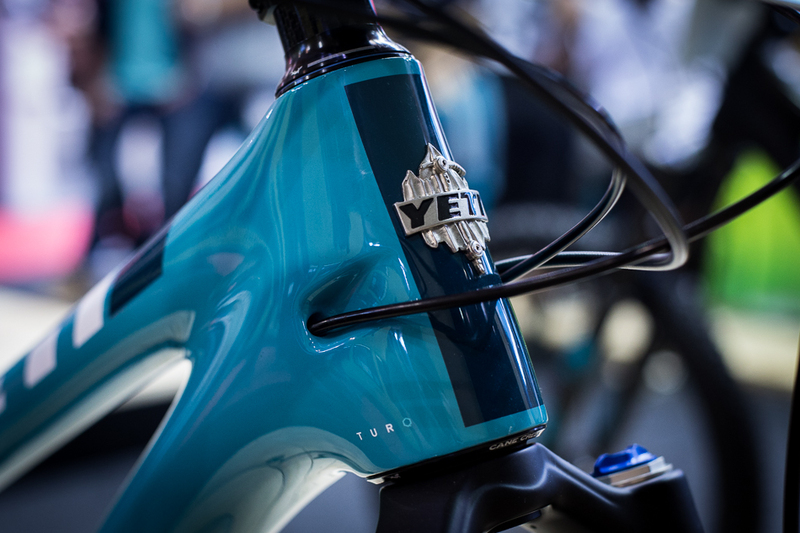 On the opening day of Eurobike 2016, Yeti announced several updates to its lineup, including two tiers of carbon frames in order to offer a wider range of prices to its customers. 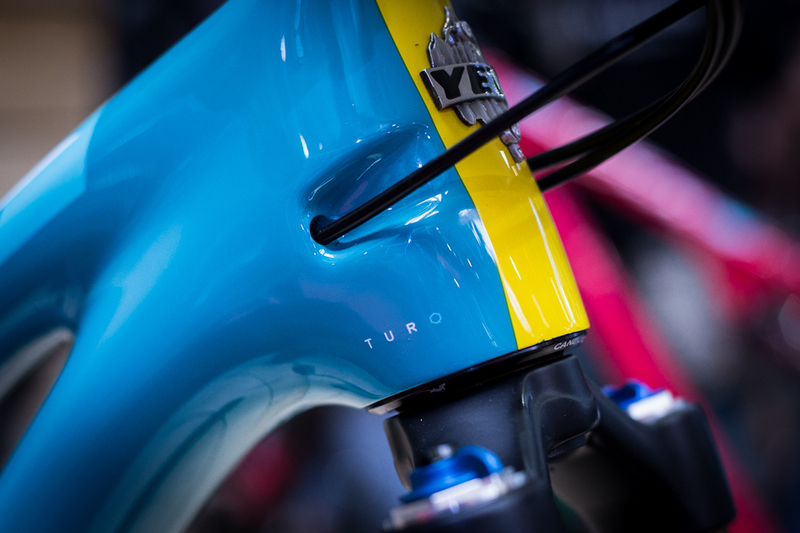 The ‘Turq’ line is Yeti’s high-end option. 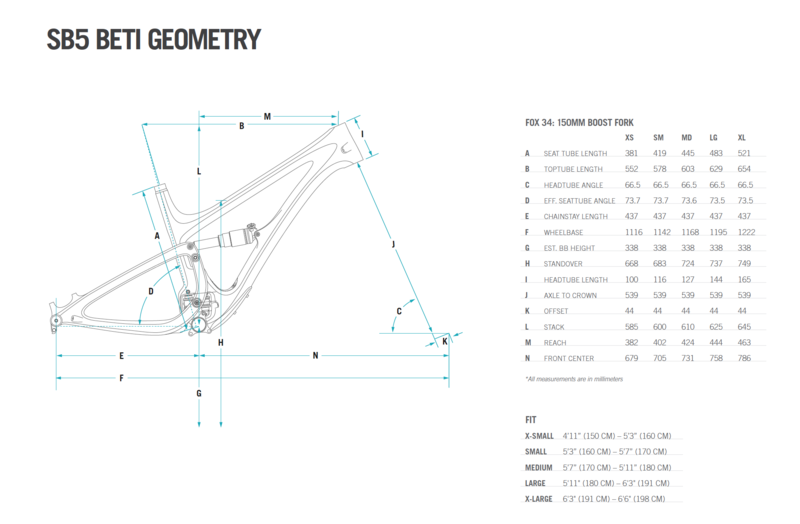 Frames will be in the neighborhood of 300 grams lighter than the second-tier options, which will be offered with different colors and graphics, as well as top-level build kits. 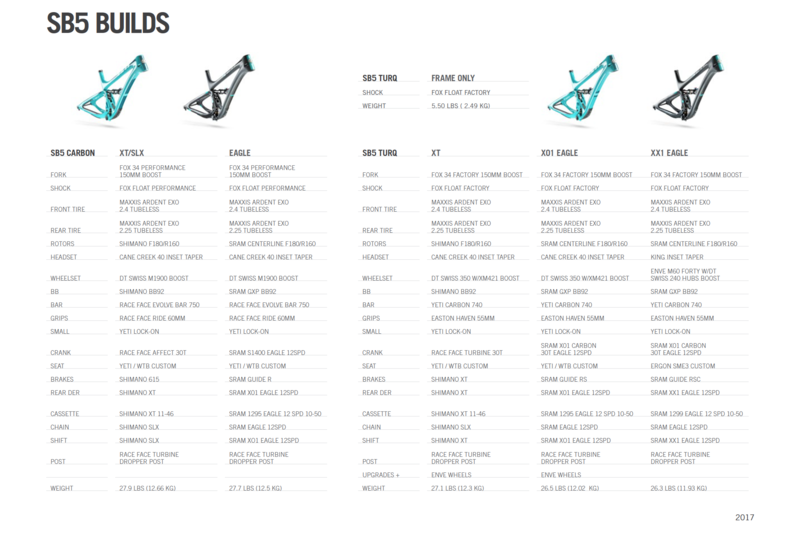 The ‘Carbon’ level frames are built to the same strength and stiffness, but the less high-modulus carbon is slightly heavier than the carbon used for the Turq frames. Moving forward, all Yeti models will be available in these two tiers. With the trickle-down in carbon technology, once boutique-only brands are able to dip into a non-Porsche-owning consumer base. 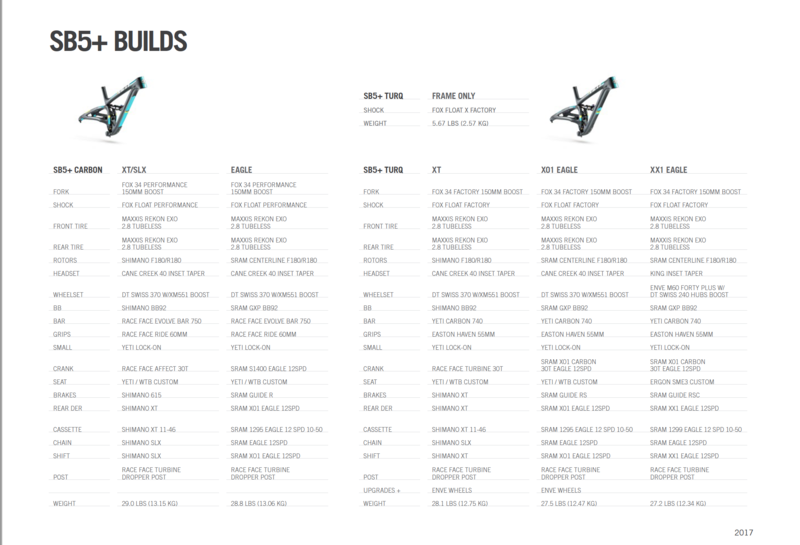 And with the proliferation of wide-range single-ring drivetrains and constantly improving suspension, $5,000 bikes are riding a whole lot like $10,000 bikes these days. 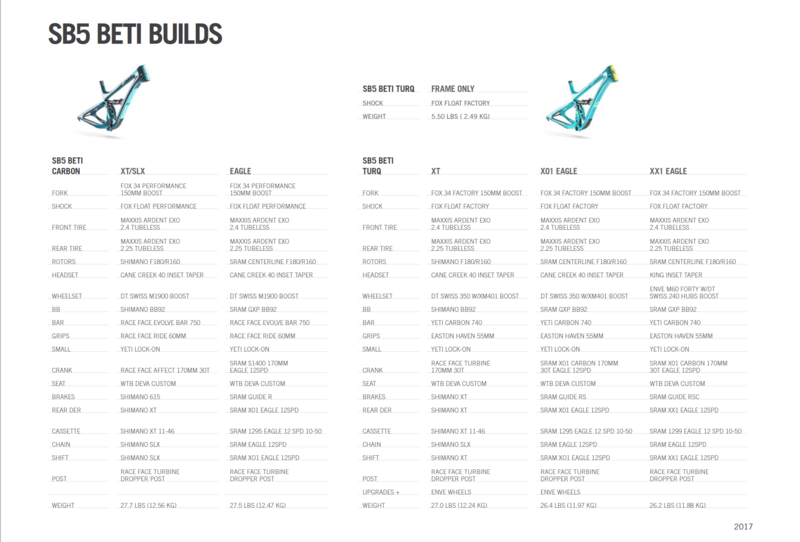 Full specs will go live on Yeti’s website on September 6, and bikes hit showrooms later this fall. 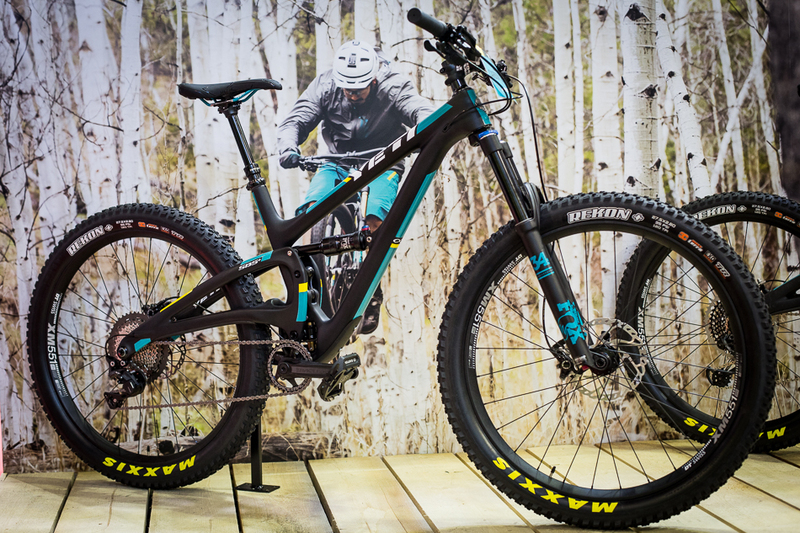 Most of Yeti’s models will be available in three Turq, and two Carbon build options, ranging from SRAM XX1 Eagle to Shimano XT/SLX. 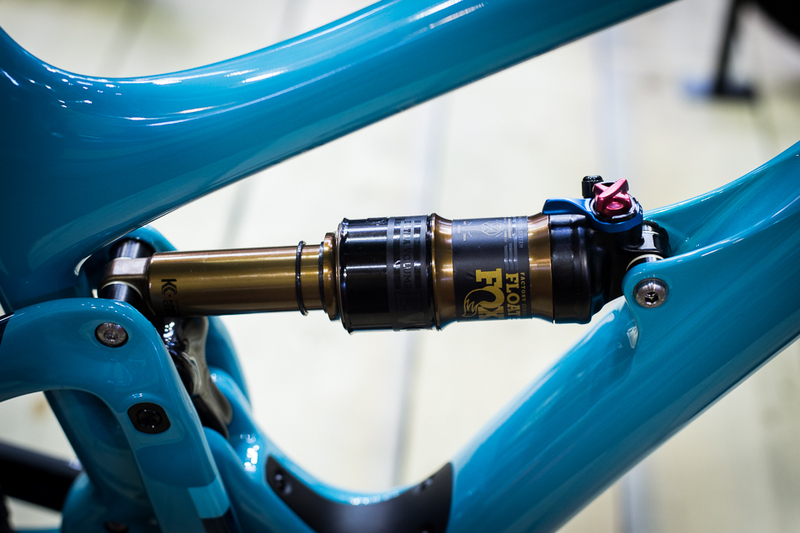 All Turq specs will get Fox Factory Kashima suspension while Carbon builds bounce on Fox Performance-series dampers. 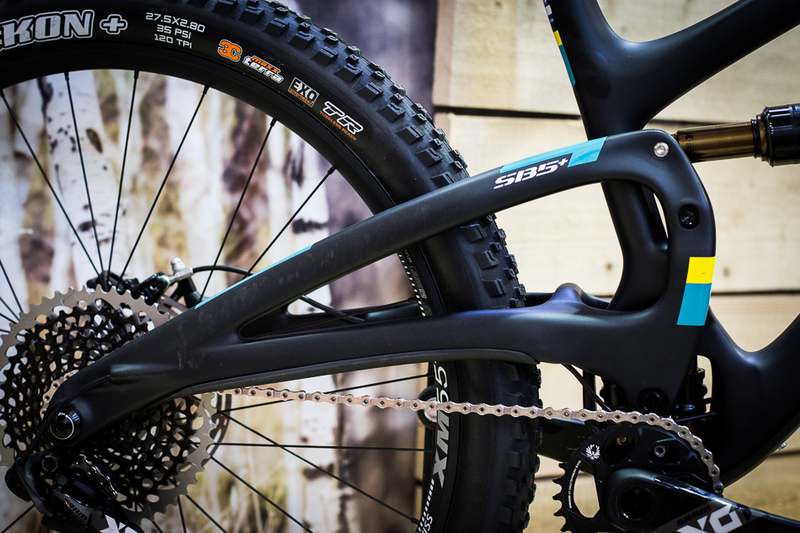 Yeti’s most popular model, the SB5, sees some changes as well, with improved standover, internal cable routing and metric shock sizing. The toptube has been straightened and seat tube bridge removed, giving the SB5 a much more refined and aggressive look. 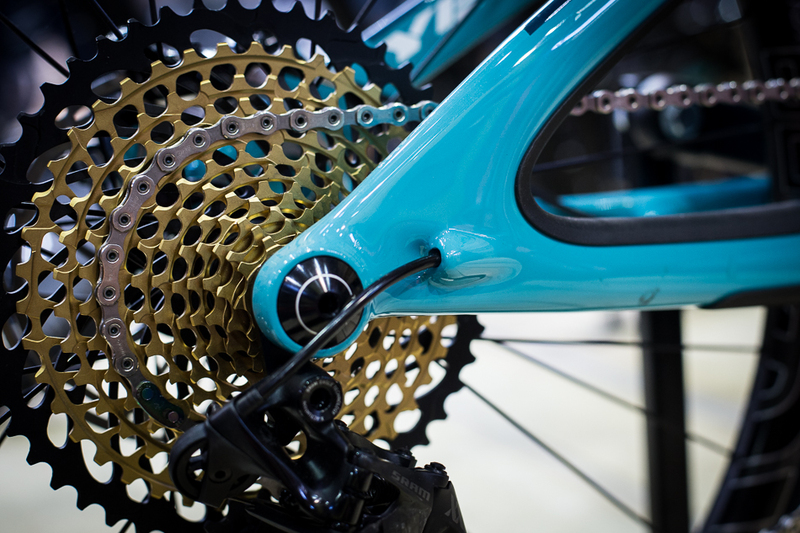 Internal routing further cleans up the look of the bike, while also reducing the possibility of cable housing scuffing that beautiful turquoise paint job. Cables enter the downtube via a set of recessed ports. 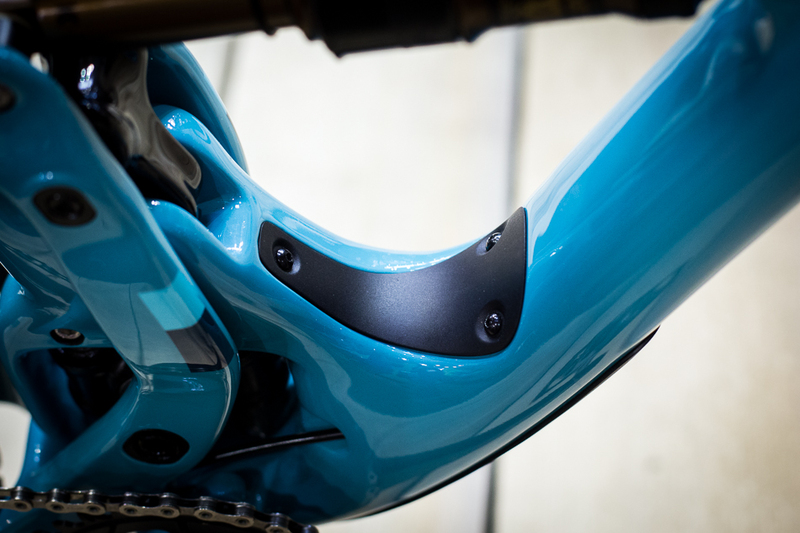 There are internal guide tubes for the housings for quick and easy routing, as well as a large port near the bottom bracket to aid with the routing the dropper post. 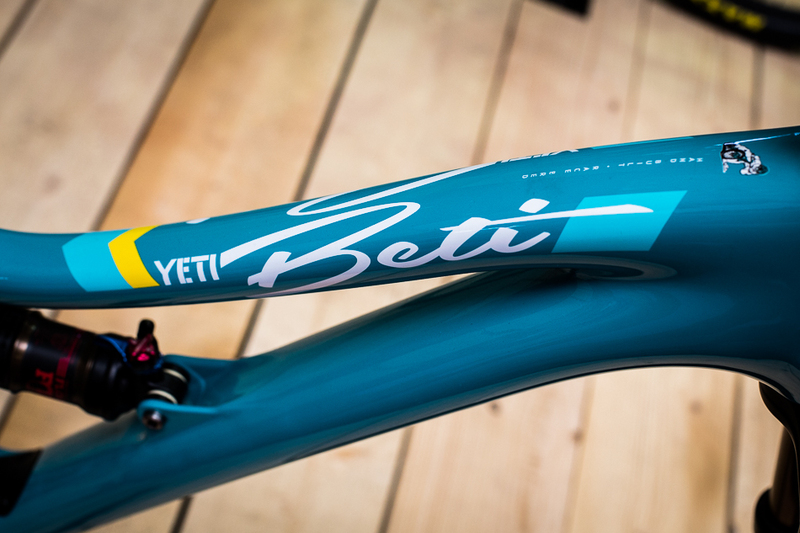 Mechanics who have had to suffer through installing a dropper cable through some of Yeti’s current internally routed bikes will appreciate the addition of the large access port to help the dropper cable make the turn up the seat tube. 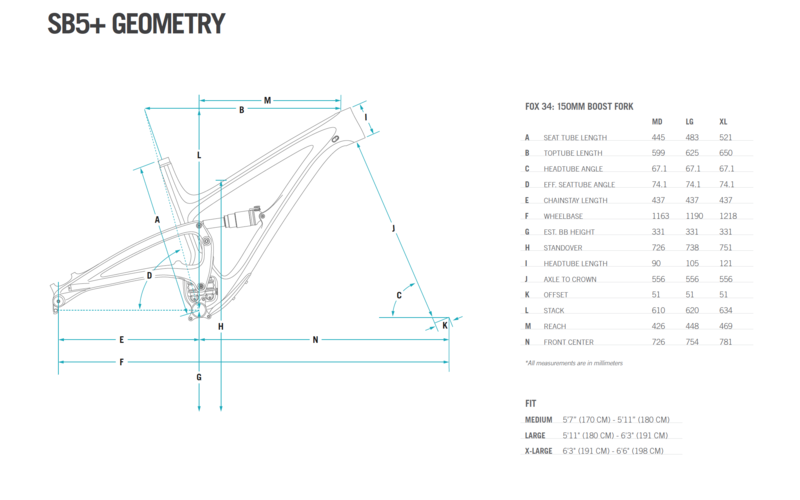 The derailleur and rear brake are also routed inside the chainstays, with nicely sculpted entry and exit ports. 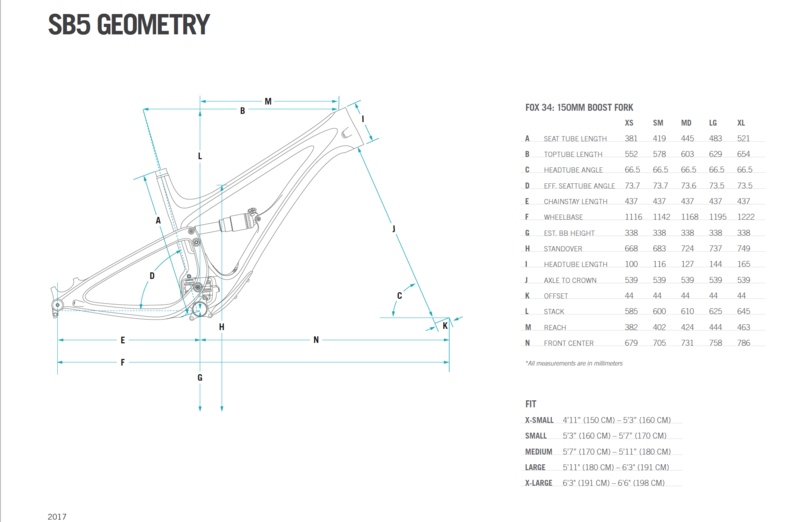 Metric shock sizing future-proofs the SB5, at least until the bike industry re-invents itself again next month. 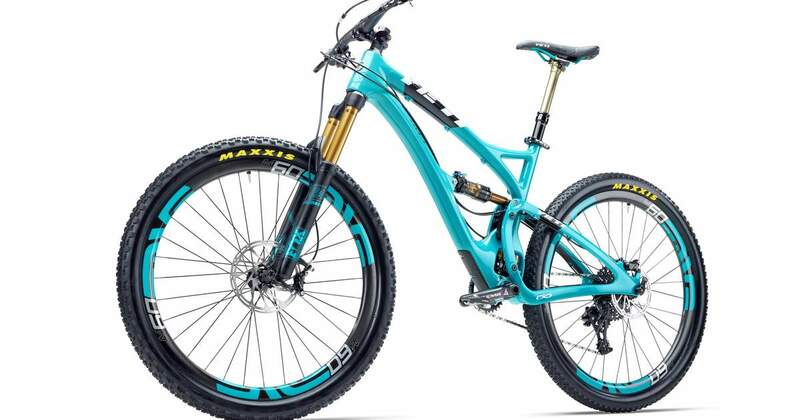 The SB5 Beti gets the same updates since it is, after all, the same frame as the men’s version, with lighter shock tuning and women’s-specific touch points. 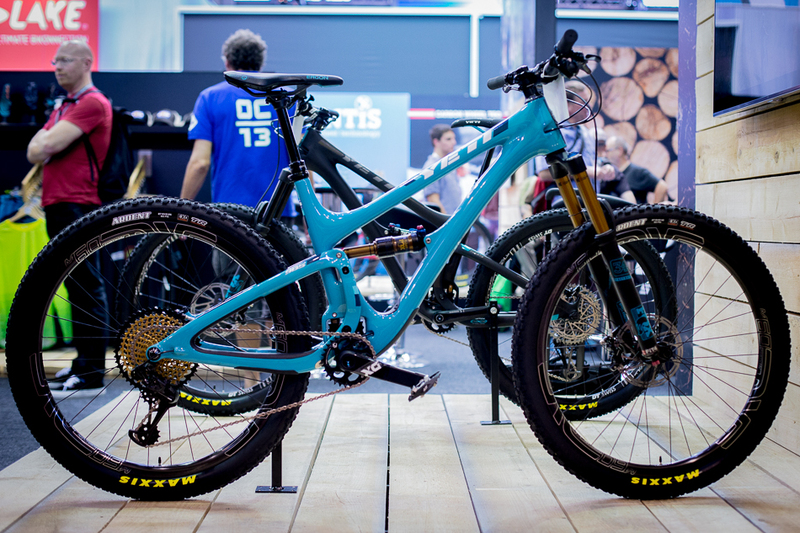 The plus thing is here to stay (at least until the bike industry re-invents itself again next month) so Yeti went ahead and designed its own plus-specific SB5. The front end of the SB5+ looks a lot like an existing SB4.5 or 5.5, but that elevated chainstay rear end is entirely new. It was designed that way to provide enough tire clearance for 27.5×3-inch tires, while maintaining a relatively short 17.2-inch rear end.